Donald Louis Corbitt was arrested on July 19 and faces preliminary charges of bicycle lamp/reflector/brake equipment violation and use/under the influence of a controlled substance. 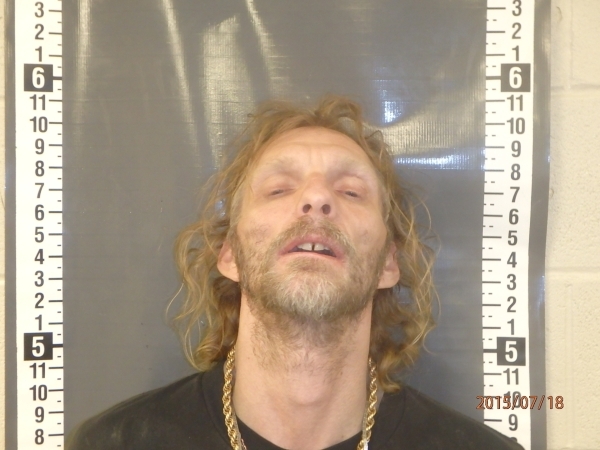 According to the arrest report, deputies with the Nye County Sheriff’s Office observed a male, subsequently identified as Corbitt, riding a bicycle across Highway 160 and almost get hit by a motorist, causing the motorist to stop suddenly in order to avoid a collision with Corbitt. Deputies noted that Corbitt did not have lights on the bicycle which reportedly made it difficult for vehicles to clearly see him. Deputies watched as Corbitt continued to cross 160 to the property of Gold Town Casino where they made contact with him. As deputies were speaking with Corbitt, they reportedly noticed that he was exhibiting signs of suspected drug use due to his being fidgety and his eyes were not responding to light stimuli as well as talking very rapidly and sweating. When deputies questioned Corbitt about suspected drug use, he reportedly admitted to using methamphetamine and stated that he needed help getting off the drug. 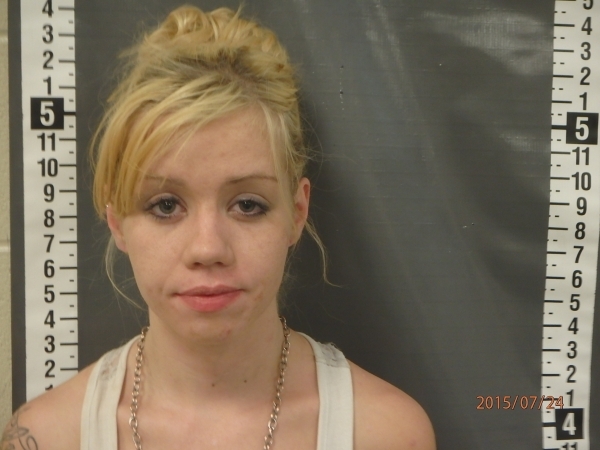 Corbitt was arrested and transported to the Nye County Detention Center, booked and held on $5,120 bond. While being booked at the jail, deputies learned that the name given to them at the initial stop was that of Corbitt’s brother. He was subsequently rebooked on additional charges of obstructing a public officer and using another person’s identification to harm/unlawful purpose. Jami Lee Hollinshead was jailed on July 24 and faces a preliminary charge of under the influence of a controlled substance after deputies were dispatched to a report of a disturbance at a residence on East Calvada Boulevard. According to the arrest report, dispatch advised deputies that there was a female, “bothering people,” at the apartment complex and she allegedly appeared to be under the influence of suspected drugs. When deputies made contact with the female, identified as Hollinshead, she reportedly said she was waiting for a ride. As deputies were speaking with her, they reportedly noticed that she stared at the ground and was mumbling to herself. According to the arrest report, deputies noticed that Hollinshead’s eyes were bloodshot and constricted and her speech was slow and she appeared to be confused. 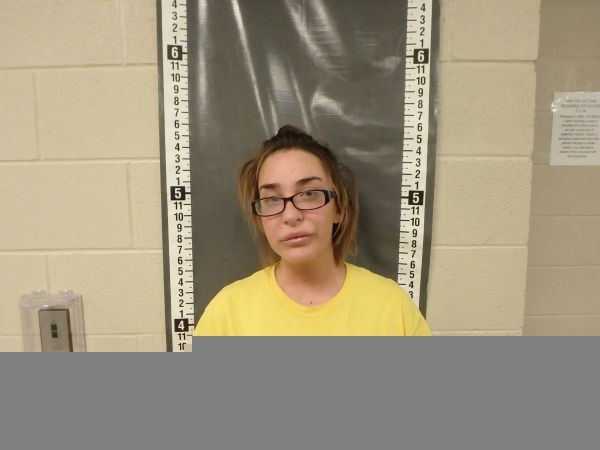 When asked if she had ingested any narcotics, Hollinshead reportedly stated that she smoked methamphetamine that morning. Hollinshead was arrested, transported to the jail, booked and held on $5,000 bond. Angela Holladay-Truman was jailed on July 26 and faces a preliminary charge of first degree domestic battery after deputies responded for the third time to a residence on East Grand Lodge Road for a domestic dispute. The victim said that Truman then grabbed his glasses and broke them. The victim said he had recorded the incident on his cell phone and showed it to the deputies. After deputies viewed the video, they reportedly spoke with Truman, who was on the couch, in the same spot that deputies left her the two previous times on previous calls the same morning. When deputies questioned Truman about why they were at the house again within two hours, she reportedly stated, “I haven’t left my spot on the couch.” Truman denied knowing anything about the victim’s broken glasses. When confronted with the cell phone video, Truman had no response. Truman was subsequently arrested, transported to the jail, booked and held on $3,000 bond.